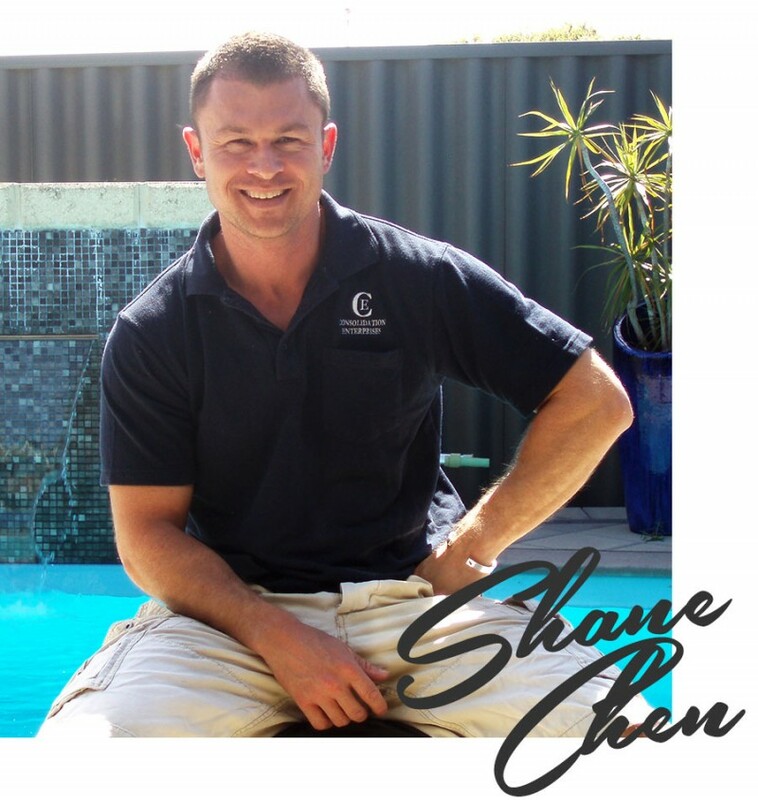 Hi, I’m Shane Chen the owner of Consolidation Enterprises. I have actively been involved in the fibreglass pool industry since the early 1990’s, where I worked as a supervisor coordinating large numbers of pool installations in the metro area. I fully understand and appreciate what it takes to install a pool and the issues that can arise if not organised properly. Based on my knowledge, experience and personal beliefs I created what is now known as “Consolidation Enterprises”. Consolidation Enterprises has a range of services streamlined, to save the customer time, effort and work. Our work is fully guaranteed and we go the extra yard that separates us from the other companies. Our fabricating is completed at our factory in Wangara and with urgent deliveries we can generally dispatch all stock with short notice. We guarantee all work and urgent stock will be dispatched, supplied and installed by our professional team with Same Day Delivery. Working closely with most of the major swimming pool companies, I have based my team on old fashioned values to provide a high standard of service and a good reputation to uphold. We specialise in compacting around pools to save the customer time, water and money. Our experienced team can complete the job in less than one day so paving and landscaping can commence immediately. Our landscaping representative can also offer a variety of ideas and samples of paving with a no obligation free quote. So remember, every job we undertake is carried out and overseen by our experienced Team. Along with expert advice we provide all our customers a Stringent Checklist which details important aspects of the job before paving can commence. During every installation we measure and video record the key stages of work to ensure we don't miss any details and our senior project managers constantly review each job to ensure a smooth and satisfactory installation. 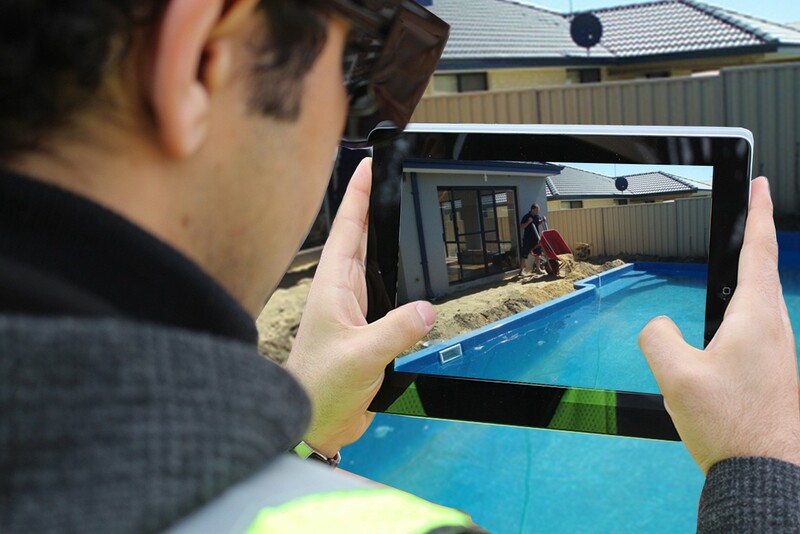 All our staff are equipped with Ipads which streams live information such as video’s and important details of pool installation requirements. 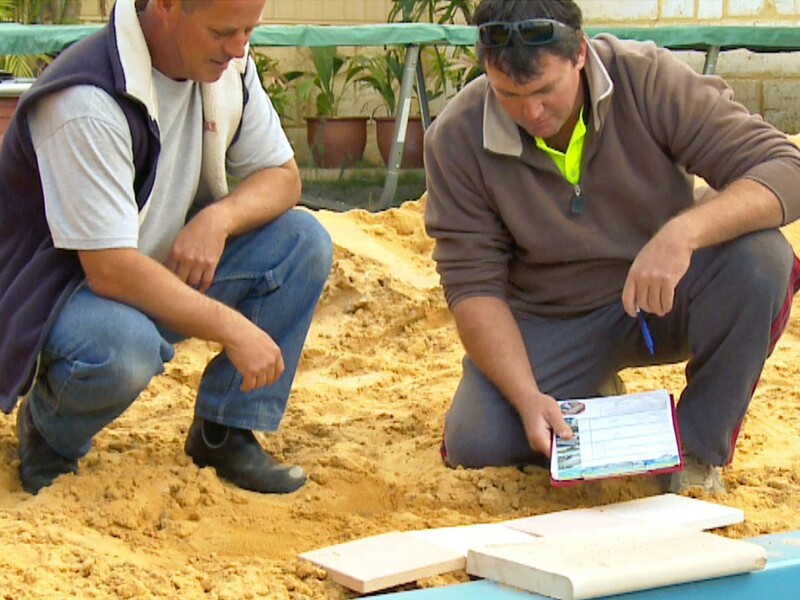 Consolidation Enterprises is the Number 1 recommended supplier by all of the Major Pool companies in Perth. Overy job we undertake is carried out and overseen by our experienced Team. We provide customers a signed Detailed Checklist which lists important aspects of each job before paving can commence. 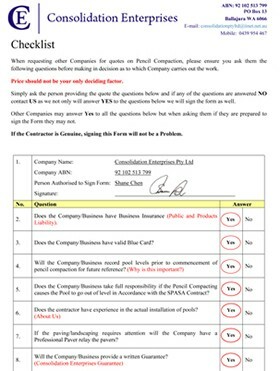 If you plan on requesting others to provide quotes on your Pool installation, ensure you ask them the questions listed on the form below and have it signed before making a decision as to which company carries out your work. Unfortunately, too often we are called in to jobs that have been installed incorrectly by unskilled contractors. The end result can be expensive repair bills. So remember, price should not be your only deciding factor. 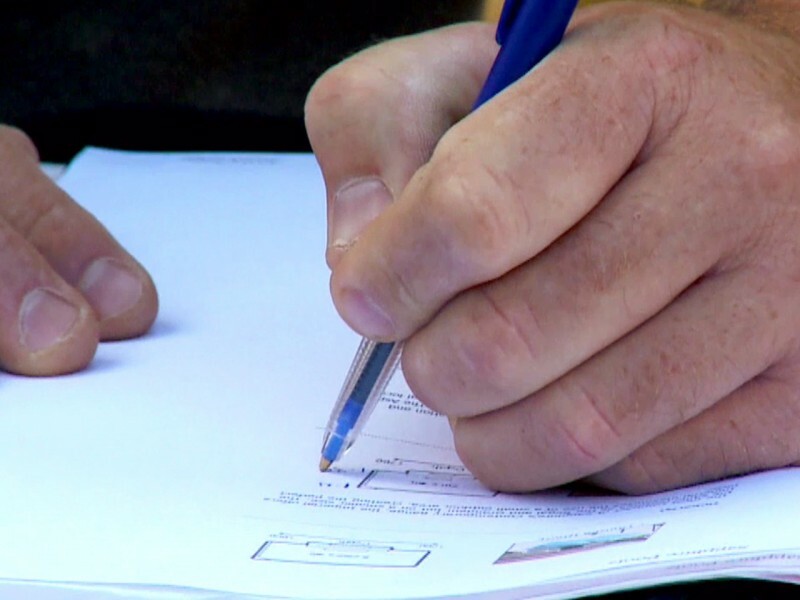 When its time to install you new pool, ensure you engage Consolidation Enterprises, the experienced experts that will offer you a 100% Written Guarantee.